It’s the start of the year 2011 and I’m pretty excited and psyched up for the year ahead because there are so many plans or goals for me to work towards. What about you? How do you feel towards the year 2011? What are your goals for the year? What do you want to achieve? Every year, some of my friends and I would set some goals and hold each of us accountable. And I would say setting these goals are very powerful. Sometimes we achieve our goals. Sometimes we don’t. But the fact that we’ve set the goals and take action towards it allows us to move closer towards our goals. One of the most important aspects of setting a goal is that once you set a goal, you will be able to plan your journey towards your goal. For example, when I set my goals of achieving an ‘A’s for physics, I would figure out what it takes to get ‘A’s for physics. And I would start planning what it need to do each month, each week, each day and even each hour. By the end of the year, when I take the exam, I am very confident about my grades. Do you know why I am so confident? It’s because I’ve start to work towards the goal at the beginning of the year. Consistent action is the key to study less and study smart. In this blog post, I’m going to share with you 5 Steps to plan and moving towards your goals. Before we set our goals, you may want to hear about the SMART formula – Specific, Measurable, Attainable, Realistic, Time-Frame. Specific – Your goal would need to be very specific. You can’t just set a goal of wanting to “get ‘A’s”, instead you need to make a specific goal “getting ‘A’s for all Mathematics, Chemistry and Physics for ‘A’ Level exams”. Measurable – When we set our goal, it got to be measurable. 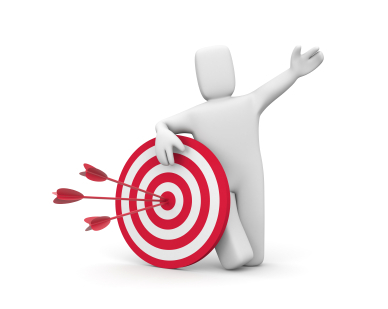 If our goals are measurable, then we are able to find out what we are doing correctly and what we are not. And from there, we are able to tweak our strategies and work towards the goal. An example of a non-measurable goal is something like “I’m going to be smarter in 2011”. How do we measure smarter? Unless you made it into a measurable test, we won’t be able to measure it. Attainable – The goal must be attainable. For example, for most language essay exams, no examiners would give full marks for the paper. In fact, the highest score may be around 90-95 marks. If you set a goal of getting 100 marks for the essay paper, it’s not an attainable goal. 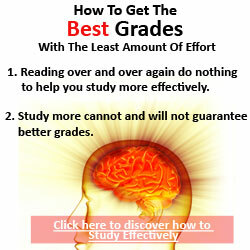 Getting ‘A’s for all your exams are definitely attainable and you would definitely want to set the goal of doing that. Realistic – You don’t want to set a easily attainable goal either. Easily attainable goal won’t motivate you to achieve it. You would need a bigger goal yet attainable goal in order to achieve it. But if you are trying to aim for ‘A’ at the end of 2011, when you are now a ‘D’ or ‘F’, it’s definitely attainable if you follow the right strategies and take massive action towards it. Time-Frame – Your goal would need to have a deadline for you to achieve it. If we don’t have a time frame to bound our goals, we could always delay it over and over again. Having a time frame is to prevent yourself from procrastinating again and again. Now you know all the 5 important factors of setting your goal, you can set your goals immediately. Feel free to share your goals with us at the comments of this page. Most people could easily set many goals for the upcoming year, but they never achieve their goals. I was like this a few years back too. I made a goal of wanting to become a great speaker and getting champion in the toastmasters competition. But I never achieve it. I’m guilty of this particular goal too. As I looked back and reflected, I realized that one of the main reasons which I didn’t achieve the goal is because I don’t have very strong purpose to achieve it. To me, becoming a great speaker and winning the toastmaster is not a very important goal for me. And the fact that becoming a top speaker would mean that I need to overcome stage fright, which to me is a big phobia. As a result, Motivation of moving towards the goals < Pain of moving towards the goal. Hence I didn’t even move try to be a speaker in the end. But for getting ‘A’s for my ‘A’ level exams, the reason why I was so compelled and motivated towards moving towards it is because I was extremely determined to prove myself to the junior college that rejected my application. As such motivation of moving towards the goals is greater than the pain of moving towards the goal. This motivation set me on fire and made me determined to sit down there and study for quite a number of hours a day. Even when I’m feeling tired, bored and sick, I’m still studying on and on. For yourself, you want to take a piece of A3 size paper, and write down all your reasons of achieving your goals. You want to find out the purpose behind achieving your goals – The reasons/motivations that can set you on fire, such that even when someone points a gun at you to tell you to stop studying, you will still continue on (apologize for such an example but you get what I mean). The learning strategies are like the hardware of our computer. Back in those days, when the technology wasn’t as advance as today, our computer was very slow. I can still remember those days where it would take a 8 hours to research and type out a 1,000 words article. Now we can complete the same amount of work within a hour or 2. The same goes for your strategies as well. We would need effective learning strategies in order to attain our goals. Using lousy strategies could mean that we will never achieve our goals. Or it will take a long long time before we could see any results. When I was made the ‘A’s goals, I couldn’t have done it if I never had discovered the top learning strategies. After all at the point in time, I’ve never ever do well in any exams at all. It was as if ‘A’s were far far away. This applies to all kinds of stuff like building business, training for bodybuilding, learning a musical instrument and many more. We always need to find the effective strategies for us to attain our goals. This would either involve discovering the effective strategies, or it would mean to get a mentor to help you. For example, I couldn’t have set up this website without the help of a few mentors teaching me how to set up a website. The aim of finding the effective strategies is to help you to optimize your brain such that for every hour you’ve studied, you will be 2-3 times more effective than your peers who are not using the effective strategies. For instance, your peers could have spent 3 hours to study and master a chapter of Mathematics, but you only need an hour for you to master it. In the long run, using these effective strategies and study consistently, you will be much ahead of your peers. In my previous post, I talked about the 7 habits of super learners, and in this section, I’ll go deeper and share with you more about habits because I believe that it is extremely important and it has shaped my life tremendously. All successful students come from having positive learning habits. Habits from ‘being consistent‘ to ‘never give up’. Our habits define our lives, our success and who we are. Habits are so powerful as they are fixed into our daily lives that and became routines. As we set new goals, we would inevitably require to take certain actions in order to achieve the goals. Like if we set a goal to learn to play piano, we would need to spend time practicing on the piano each day or each week. Spending time practicing on the piano would be a new behavior we need to schedule into our time. We can’t just know how to play the piano without any practice at all. These new actions (practicing) must be acted upon deliberately at the start and over a course of time, if we consistently practice, the act of practicing will slowly become our habits. If we don’t set our mind to practice consistently, we will never be able to learn the piano fast. If you think deeper about it, habits are like the little voices in our head. When external events happened around us, our reactions or actions are based on the little voices that talk in our head. For example, when your teacher told you that there are additional homework for this weekend, what is the first thing that comes into your mind? For most students, the little voice in their minds would say, “oh shucks, not again… I want to play during the weekend and this homework will ruin my weekend”. When I was taking my ‘A’ level exams, whenever the teachers gave us more homework and papers for practice, what goes on my mind is “oh yes, I have something additional for me to practise and I’m going to see how much I know”. Well, the truth is what my teachers gave wasn’t sufficient for me, I even borrowed past exam papers and tutorials from friends’ from other junior colleges. Another habit I developed was to wake up early in the morning. For most days, I woke up at 7 am in the morning and went for a morning jog before I started to do my revision. My mind was very fresh in the morning and I had more hours for revision every day. You may also want to develop the habit of finishing every single thing you’ve started. I felt this is a very important habit in life as well. Most people don’t have the determination and perseverance to finish what they started. In fact, in today’s world, we are distracted with so many things that we become a hopper. Hopping around from one thing to another. When we study, we want to clear off of all these distractions for most of the time. You don’t want to study for 5 minutes, and then go Facebook to chat with your friends for another 5 minutes. Instead, cultivate the habits of studying for 45 minutes to an hour before taking a break. Now, after sharing with you about all these positive habits, how do we cultivate them? How do we turn our behavior into a habit? The trick of making a habit stick is to perform the same action or behavior consistently for at least 21 days. For example, I started off by reading a chapter of the textbook every day for an hour for each of the first 21 days – no matter how tired, sick, or busy I am. After the 21 days, it became much easier for me to pick up the book than when I first started. But before you can make it a habit, how exactly do you need to do to study? Besides making a detailed schedule on what time you are going to study every day, you would need to break it down to the details. 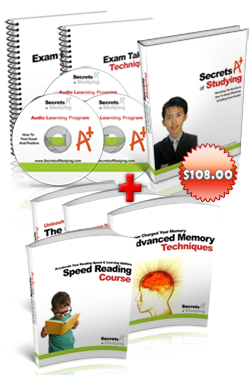 The top students usually break down their studying plan into the following plans – They used accelerated learning techniques in reading and writing notes, memorizing, and practising questions. They typically have such detailed planning up to the day of their exams. Sometimes you may need more time for certain topics or chapters and that’s fine. You can just change accordingly and tweak your plans when it’s necessary. Start setting your goals, create your action plan and taking action towards it! You have taken some time to read this entire post and I definitely hope that you have gained something out of it. Please start applying what you think it is useful to you and I hope that you will achieve your goals in 2011. Share with us your goals below and your action plan! Click on the Facebook “Like” button or the Facebook “Share” button and share with your friends. Awesome again! Im sure this would help me alot. Im just lack of motivation and the right tips. But now, I’ve got them all !